If you live within Comcast’s service area (and you likely do), this cable internet provider is a pretty good value. Although customer service leaves something to be desired, there are plenty of no-contract plans available with fast speeds and reasonable price tags. The Gateway modem/router with the xFi interface has a lot of cool features, especially for parents. Overall, Xfinity deserves a closer look from everyone from single apartment dwellers to big families. Comcast Xfinity offers lots of different internet packages, but the selection of plans and pricing depends on where you live. The majority of Xfinity’s internet plans are cable, which is widely available throughout the US (Xfinity serves over 25 million internet customers, making it the largest provider in the US1). There is also a fiber plan, Gigabit Pro, which delivers download speeds up to 2,000 Mbps. However, “Gigabit Pro service is only available within one third of a mile of Comcast’s fiber network and requires custom installation. Installation may require 6 to 8 weeks or more to complete.”2 It’s also going to cost you $225 a month and require a 2 year contract. For most internet users, the cable options Xfinity provides are more than enough. For light internet users who don’t stream a lot of HD video, game online, or share service with family members or roommates, Performance Starter (download speeds up to 10 Mbps) will work. Bigger households that want to use more devices at once should look at upgrading to a Blast! or Performance Pro plan. There are even faster packages; for most families there’s no need for more than 100 Mbps speeds. Because of Xfinity’s varied pricing structure, contract options and new customer deals, it may be less expensive to go with a faster plan. In the pricing chart above, you’ll see that it’s actually a better option to choose the 100 Mbps plan over the 50 Mbps package by a few dollars. Cheaper than both those plans is the 400 Mbps Extreme Pro, thanks to a 12 month new customer deal. Always check every plan’s fine print and price guarantees to determine which plan delivers the best value for your needs. For packages with a price lock, it’s worth calling Xfinity near the end of your first 12 months to request that your bill not increase. Be prepared to quote the competition’s current offer and be put on hold a few times. It’s worth it though, so be patient! All of Xfinity’s cable plans, except in the state of Maine, have a data limit of 1 Terabyte (1024 GB) per month. This is a huge data limit that you likely won’t reach in a month; it is a data limit nonetheless. If, somehow, you do reach the 1 TB data limit in any given month, you’ll be charged $10 for each additional 50 GB of data. These extra charges will never be more than $200, but that’s a pretty hefty addition on to any monthly bill. If you’re regularly exceeding the data limit by more than 250 GB ($50), consider going with the Unlimited Data Option, which costs $50 extra per month. When you subscribe to an Xfinity internet plan you’ll be asked if you’d like to add on their modem/router combo for an extra $10 per month. This is common; most internet providers would rather you go with their modem and/or router than use your own. Should you go with Xfinity’s option or buy your own? The xFi Gateway is Xfinity’s modem/router combination. What this means is that it provides a connection point for your Xfinity internet service inside your home, as well as turns that wired internet connection into WiFi for wireless use throughout your house. With the Gateway, you can manage your WiFi via the xFi app or website. If you have Comcast’s TV service with the X1 DVR, you can control your modem/router from the DVR as well. Using the xFi interface you can see what devices are using your WiFi and how long they’ve been on the network. The Gateway and xFi interface seem to be designed with parents in mind. After you set up device profiles, you can pause WiFi to individual devices and set time limits on them. There are also built-in internet parental controls for safer browsing. Xfinity includes the option to receive alerts when new devices join the Gateway’s network. For guests, set up a home hotspot called “xfinitywifi” so you don’t have to share your WiFi password. It’s possible to disable this feature, which is good, because the way Xfinity describes it, it sounds like any Xfinity subscriber can join the “xfinitywifi” network broadcast by your Gateway. Xfinity XFi Gateway is available for an additional $10 a month. It’s also an option to provide your own modem and router. Xfinity has a website that lets you plug in your zip code and the speed of your internet plan to get recommendations on compatible devices. Plenty of modems and modem/router combinations were presented when we inputted our zip code and the advertised speed of our package. Suggested brands included Arris, Motorola and Netgear, which are widely available in stores and online. Xfinity’s internet plans offer Constant Guard, a comprehensive security plan that includes a subscription to Norton Security Suite. This lets you keep your computer safe from viruses and spam at no extra cost, which is a good deal. As mentioned above, the parental controls included in the Gateway’s xFi interface are fairly all-inclusive. You can limit WiFi availability immediately through the app, or during preset times throughout the day, like homework time and bedtime. It’s also easy to see who’s home based on which devices are connected to your WiFi. This is all on top of the ability to restrict certain websites and other basic parental controls. If you have an Xfinity internet plan 25 Mbps and above, you also have access to over 18 million free WiFi hotspots nationwide. Just select “xfinitywifi” from the list of available networks and use the Xfinity WiFi app to keep your personal information safe while using the public network. Free WiFi Hotspots are included in Internet plans 25 Mbps & above nationwide. Any Xfinity internet plan includes up to 7 email accounts with 10 GB of data storage. If for some reason you’d rather not use Gmail or Yahoo!, this is a nice perk. Your internet plan includes 5 lines of unlimited talk and text for free. You just pay for your data – either $12 per GB or $45 per line for unlimited data (after 20 GB, your speeds will likely be reduced). With access to so many free WiFi hotspots, you may be able to get away with just a few GB of data every month. This is a deal where you want to read all the fine print and ask a lot of questions so you don’t end up paying more for your mobile phone than you would getting a plan from another provider! Comcast offers an Internet Essentials plan for families “with at least one child eligible to participate in the National School Lunch Program.”1 Internet Essentials includes 15 Mbps download speeds with 2 Mbps upload speeds for $9.95 a month (plus taxes). There are no activation fees and the Gateway modem/router is included at no extra charge. Xfinity customer service is not known for being especially knowledgeable or willing to help existing customers. If you’re signing up for a new internet plan, it’s likely the best customer service you’ll receive throughout your time with Xfinity. Two hour installation and appointment windows are offered, with a $20 credit if Xfinity’s installers are late. While $20 isn’t going to make up for the missed time at work and inconvenience, it will pay a decent part of your monthly internet bill. You can contact Xfinity 24/7 for customer support, which is nice for late night or early morning internet problems. There’s a phone number, online chat and their @ComcastCares Twitter account. The customer service website also lets subscribers know they can write a letter under “Other ways to get in touch.” I doubt this is particularly effective, but it is apparently an option. Bypassing the Gateway modem/router combination will save you $10 per month. If you already have a compatible router or plan on purchasing one for less than $120 (which is completely reasonable), you’ll save money within a year. Keep in mind that while choosing your own router and buying it outright will save you money over the coming months and years, you’ll lose support from Comcast. They’re not going to guarantee performance of a third party modem. Xfinity will try to sell you on the Gateway with 24/7 customer support and the customization abilities of xFi. You could start saving money on your investment within a year. 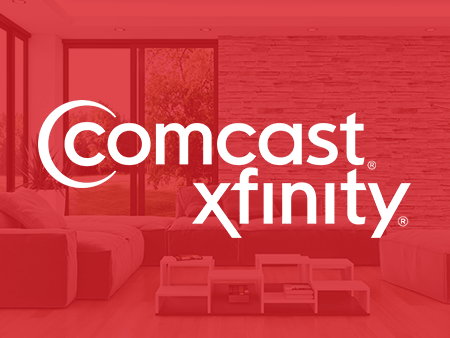 Like most providers, Xfinity offers TV and internet bundles, as well as the option to add home phone and security. These bundles will save you money over the life of the promotional deal, often adding in TV for almost nothing once you’ve purchased internet. You can also add a mobile phone plan for little-to-nothing! Depending on where you live and what plan you choose, professional installation will run you around $60. Installing your service yourself is free and isn’t very complicated. If you’re considering a lower-tier plan (Economy Plus or Performance Starter) and use less than 5 GB of data every month, you’ll get a $5 credit on your account every month. However, if you use over 5 GB of data, you’ll pay an extra $1 for each additional GB. For families that want cable internet, Xfinity is a good choice. There are plenty of plans to choose from, with download speeds ranging from 10 to 400+ Mbps. The affordability of these plans depends on your location. For some communities, choosing a faster speed may in fact save you money over the next few years. If you plan on bundling TV and internet (and possibly other services), Xfinity is a great deal and does a good job of integrating equipment, including the xFi Gateway, X1 DVR and security systems. Going with a single provider for all your communication needs will also likely get you a good deal. Overall, Xfinity delivers value and reliable speeds, which is exactly what you need from your internet provider!